This light--but blasphemous--little poem parodies the Trinitarian formula of baptism, initiated by Jesus’ commandment to his disciples that they should go forth baptizing all nations “in the name of the Father, and of the Son, and of the Holy Ghost” (Matthew 28:19).…Dickinson relies--as we first think--on simple alliteration to bind her poem together: Bee, Butterfly, and Breeze make up a natural spring “trinity.” But…if alliteration were all she was after, she could have said “Bird”…or “Buttercup”….We have to look a little more curiously at the import of her three successive nouns. Dickinson has assumed here the authority of the vicar who inaugurates a ritual with his “In the name of the Father” and ends it with his “Amen.”…It is Dickinson’s conviction of her intellectual and aesthetic authority that enables her to stand, however whimsically, against the church, and offer Nature as a better object of worship than the Trinity. The authority of the poem is so sweetly exerted that its sting is felt only after its charm: this mixture of comedy and satire is characteristic of many of Dickinson’s early poems. …[S]uch a short poem raises the question of what counts as a poem at all. Using “In the name of the Bee -” as our example, we could say that what a poem needs above all is imagination. In this tiny poem we see a first, second, third, and fourth effort of imagination. First, the poem invents the idea of a parody of a Christian form of words, while retaining a trace of its source in its closing “Amen.” And second: the poet decides on the three nouns to be substituted for the three Persons of the Trinity. And third: the poet has to make her trinity of nouns “mean something” in relation to one another (as Father, Son, and Holy Spirit are related). While Bee and Butterfly are named and capitalized living things (as are the Father and the Son), the Breeze is a motion of air (as was the Holy Spirit at Pentecost). And fourth: the nouns chosen must have a “spiritual” quality, must be symbolic as well as “real”; the Bee (for Being), the Butterfly (Psyche, the resurrected Soul), and the Breeze (the Spirit) all fit that criterion. While the imagination is doing its work, a parallel investigation is being carried out by the ear, creating a link of sound--Bee, Butterfly, Breeze--to substitute for the “familial” links of the Trinity. 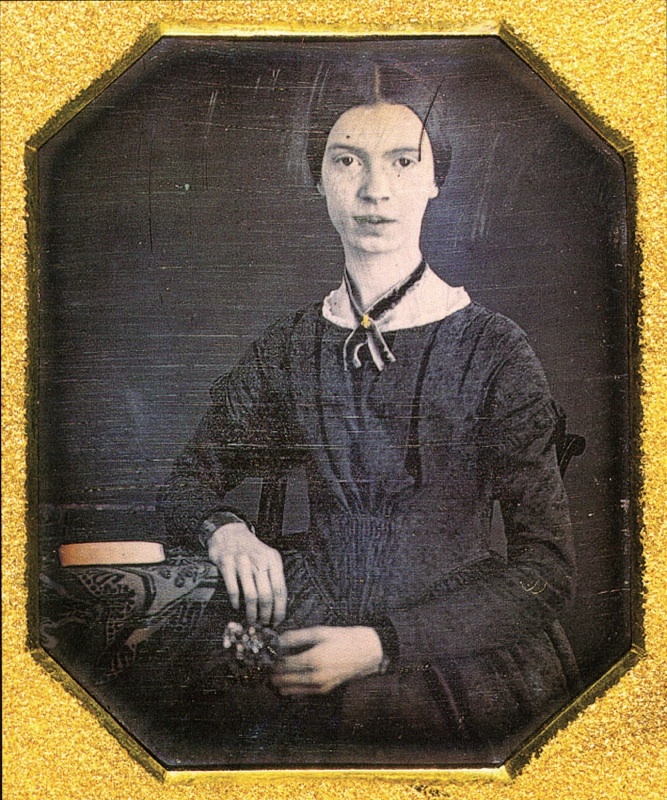 Dickinson keeps a secular Sabbath in the open fields, her ear open to the bee’s hum, her eye open to the butterfly’s flight, and her skin open to the caress of the spring breeze; but she sanctifies them by making them “match” the Christian Trinity. It is her own imaginative effort that Dickinson is “baptizing” here, calling on the authority of Nature, not of God.